The most impressive new service we are offering is one day crowns and bridges, as well as veneers, inlays, and onlays. In the past, these restorations took 2 visits with a 2-3 week time period where you wore a temporary restoration until the permanent one came back from the lab. We have recently changed this with the addition of the CEREC system to our leading edge technology equipment. With CEREC at your side, you can be in and out in a single visit with a permanent, all ceramic crown, onlay, or veneer! 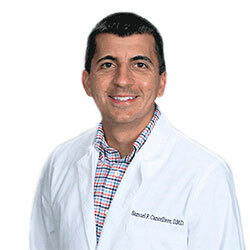 Dr. Sam Cancelliere is one of the leading users of this technology in the Naples area. 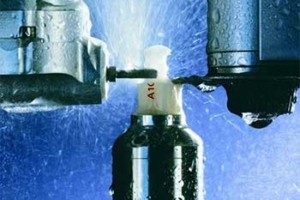 Less than 10% of all dentists use CEREC in their practice, although the CAD/CAM technology has been around for over 25 years. At the Dentistry in Naples, we are proud to be leading the way by offering our patients one of the most exciting new advances in dentistry. Using the long-accepted process of CAD-CAM technology, we are able to create a virtual tooth using the latest computer technology and then custom design and make a new restoration to restore your tooth back to great condition. These all-porcelain restorations look terrific and provide added strength and stability to the remaining tooth structure. Why go to the dentist a second time when you don’t have to? With CEREC®, the procedure is done in a single appointment, start to finish! 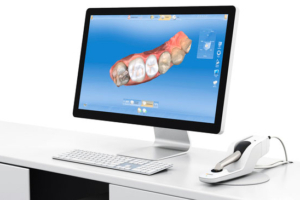 After your tooth has been prepared, we will take a digital image with Cerec’s Bluecam. We will then design your tooth, right here at The Dentistry in Naples using Cerec’s powerful CAD/CAM technology. Then, we mill it from a solid block of porcelain. The last step is to cement your crown, and the procedure is finished, all in the same appointment! Don’t wait another day, call Your No Fear, No Pain specialists at The Dentistry in Naples at (239) 566-2422 to learn more about crowns and how we can help you have the smile you deserve!